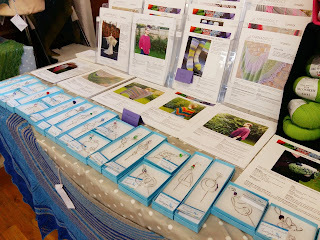 I'm back from Unravel and it was another fabulous event! 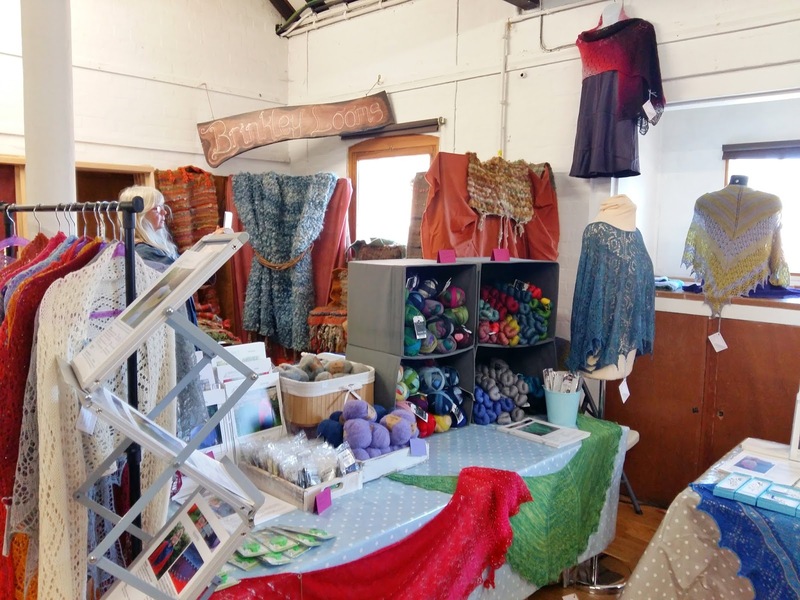 I enjoyed meeting regular and new customers, members of my Facebook group - Love of Lace Knitting - and the ladies who came to my Professional Finishing Class on Sunday. I'm so grateful to everyone who supported us by buying yarn, patterns, shawl pins, beads or notions. 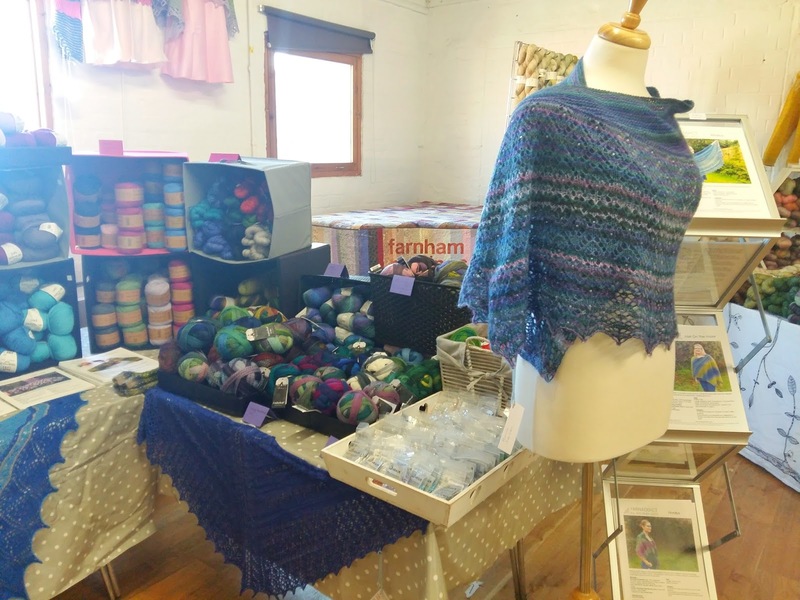 And I'm so grateful to everyone who stopped to say hello and show me what they'd knitted from one of my patterns. 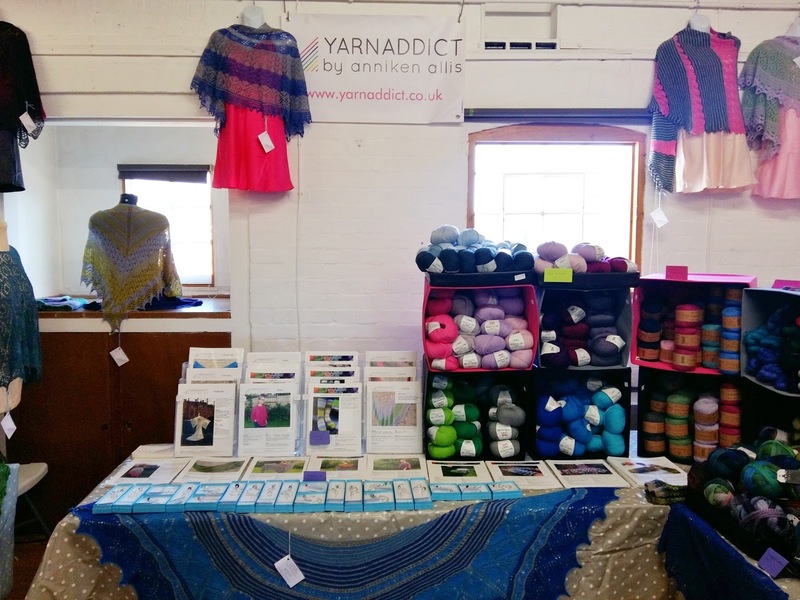 I didn't get much of a chance to look around and there are a few stalls I'd hoped to check out but I'll have plenty of time for yarn shopping at Edinburgh Yarn Fest next month. 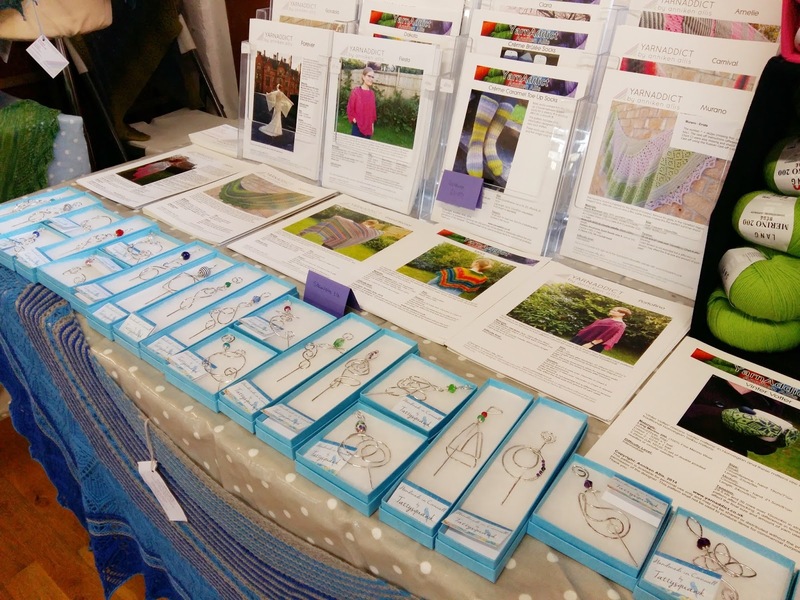 I'll be there teaching and shopping but not having a stall. I did manage to buy a couple of little things. I've wanted a little sweater ornament for months so I picked one up from Ida's House, who have a fabulous selection of knitting goodies. Fellow Norwegian, Maya, stocks a Norwegian yarn, Garnsurr, in her yarn shop, Knit With Attitude, in London. 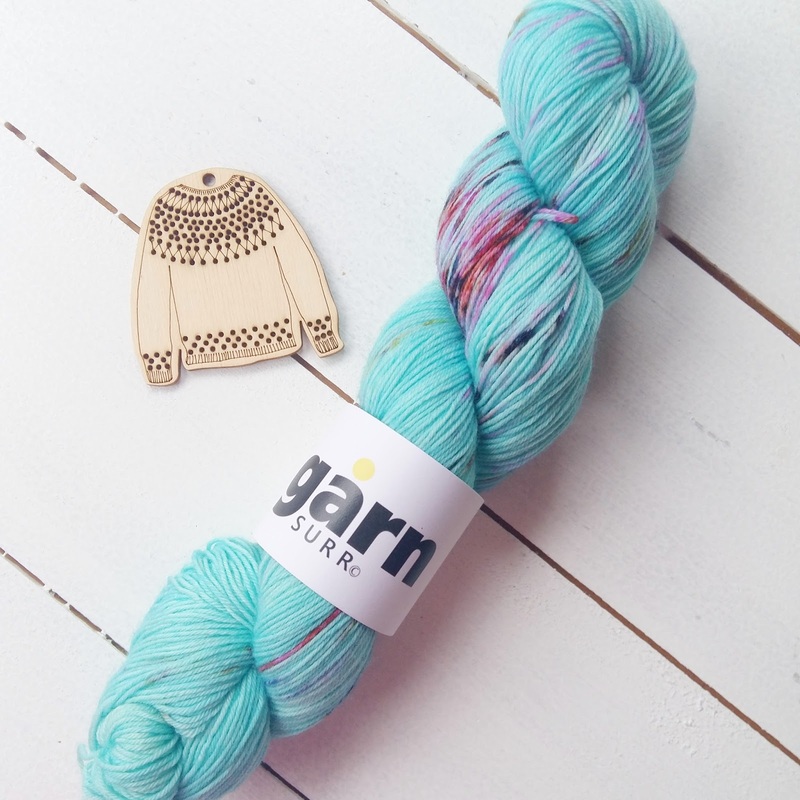 When I heard that Knit With Attitude was going to be at Unravel I knew I wanted to pick up a skein of Garnsurr. I enjoyed meeting fellow Norwegian, Nina - Knitting Windows on Instagram. We've been chatting on Instagram for a while so it was nice to meet in person. Nina came to my Finishing Techniques workshop on Sunday and brought me a little present - a gorgeous tin with some useful and pretty knitting notions. 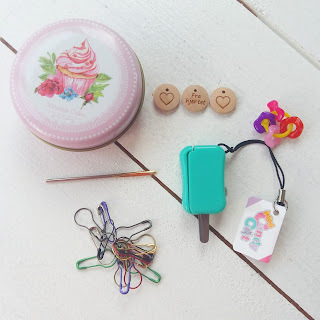 I love knitting notions and pretty tins so this was perfect for me! I got some knitting done too. In fact, I'm surprised at how much knitting I got done. I'm exhausted after a day at a show so in the evenings we get something quick to eat then retreat to our hotel room to relax. 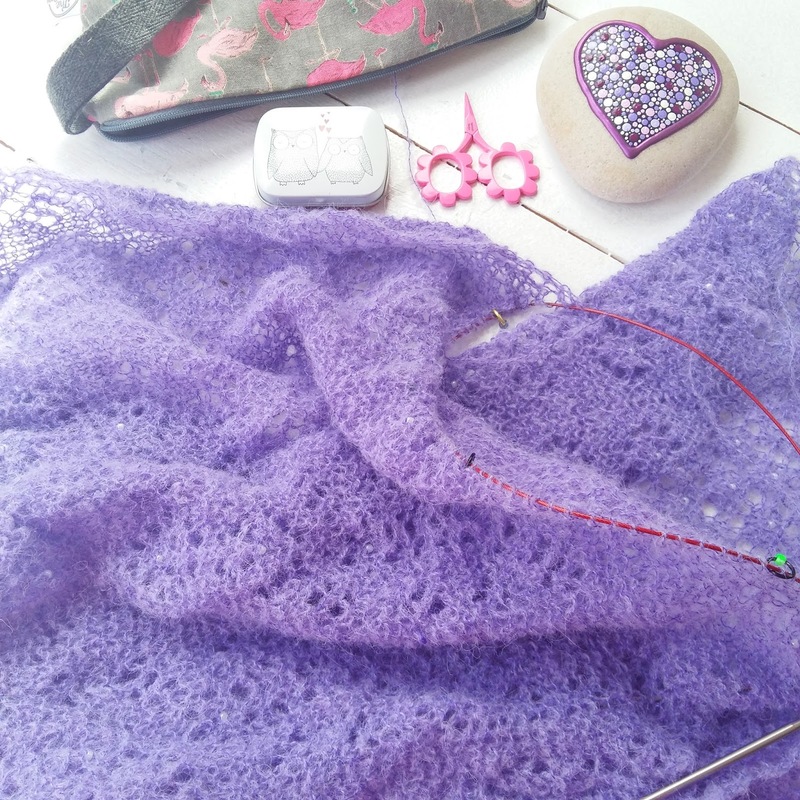 And apparently I did a lot of knitting because my lavender shawl is getting long! I'm on the final quarter. Hopefully I'll be able to finish it this week.